Wow, you really shouldn’t have. I mean, the first time around was exciting but this – this is just spectacular. G2 Crowd released its Fall 2018 Grid Report and once again, NetLine was recognized as a Leader in ‘Lead Capture’. Thanks to real users on G2 Crowd (yes, authentic reviews are the only reviews), NetLine has garnered the G2-honor for a second time in 2018. While we’re clearly flattered by the formal recognition assigned to us by G2 Crowd, we couldn’t help but notice some other things on their site and kind of hacked the awards system. Our ‘Quality of Service’ rating is 99%. The average? 88%. That’s awesome for a few reasons – one being that it’s really close to 100% (a.k.a. 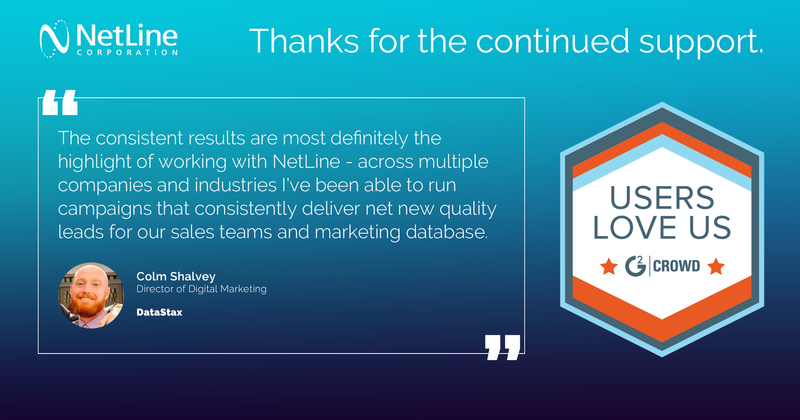 “all”) and the other being that it’s representative of the hard work and dedication of our lead gen experts on the support teams here at NetLine. While lots of other tech solutions are moving to bots and leaving users hanging for responses or pointing to content, we have real people who guide our users in the right direction. We’re not knocking the bot craze, in fact we like them! As a martech provider, it’s in our DNA to like automation where possible, but also having a real expert on the back end of your campaigns not only helps save time and stress, it gives users the security of knowing that their campaigns are in good hands, with optimal configurations in place to drive results. And after that first campaign, our teams analyze the data and connect routinely to make sure that users’ goals or their clients’ goals are being met. 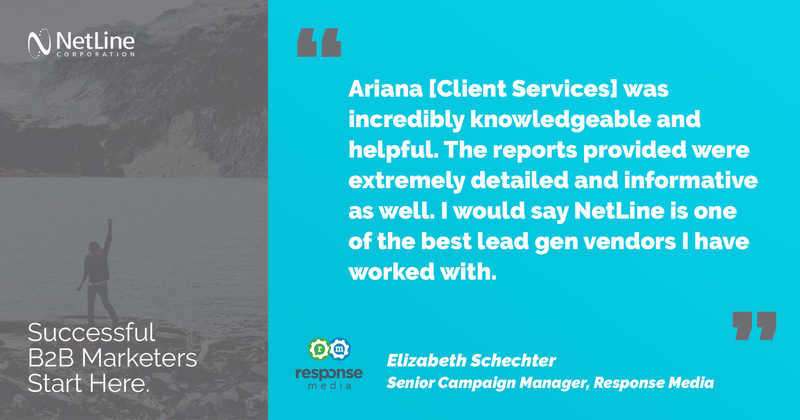 In addition to gathering the good news on client campaigns, G2 Crowd feedback and our internal survey feedback helps drive the product roadmap. We take pride in adapting feedback from customers to develop updates and tools that benefit all users. For example, and most recently, branded reports and custom link sharing were rolled out on the NetLine Portal. These features enable customization of reports by brand groups which means our clients spend less time formatting Excel sheets for external sharing. 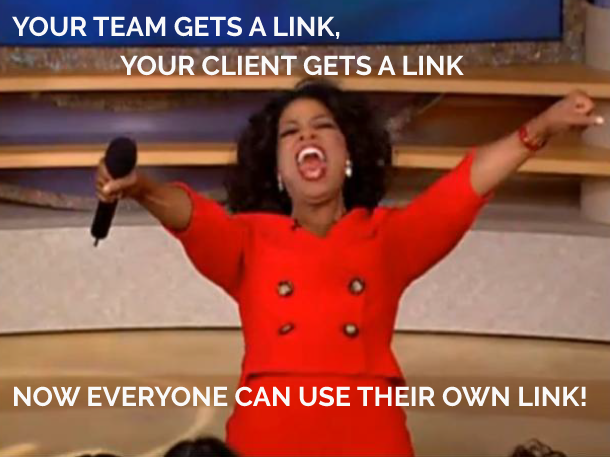 When it comes to external sharing, it’s now just as easy to share a branded report using a custom link. Their clients can receive real-time campaign performance updates quickly, without having to spend hours preparing a client-facing document. Jeffrey’s quote says it all! Our goal is to be agile and innovate in ways that resolve the problems of B2B marketers. It’s about driving results for brands to build their sales pipeline in ways that add value for their consumers. So, for the 2nd time in 2018, we’re riding a wave of appreciation and introspection on what we do and who we we’re doing it for (lead generation for B2B marketers.) Many thanks to those who shared their feedback with G2 Crowd to help get us here and for those who have yet to do so, check out our page and leave a review! 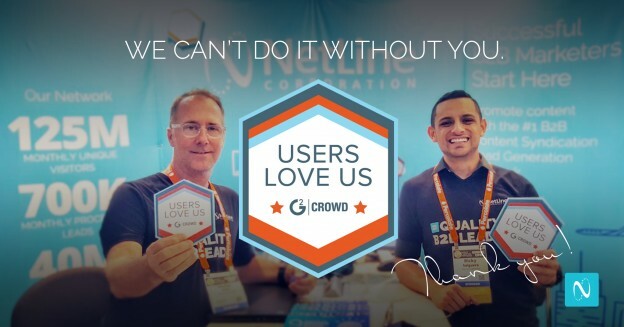 NetLine Corporation Review page on G2 Crowd. Posted by Elizabeth Johnston on October 1, 2018 .